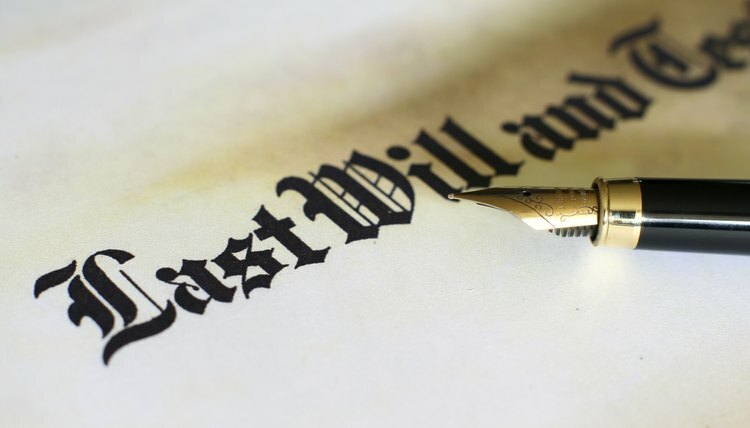 An executor, known as a personal representative in Michigan, carries out the terms of a will. When a family or attorney submits a will to probate, the court takes into account the will's appointment of an executor. If the will has no such appointment, or the executor can't carry out his duties, the court can appoint an executor to carry out this function. As in other states, personal representative fees in Michigan vary, depending on several factors. Under Michigan laws, the individual who carries out instructions in a will is known as a personal representative. The court grants letters of authority to this individual that allows her to handle the estate, sell property, pay debts and disburse funds to beneficiaries. Michigan law allows for a shortened probate procedure for estates valued at less than $22,000. The amount rises to $62,000 if there is a surviving spouse. In this case, handling of the estate goes to the spouse or next of kin who applies as the personal representative by petition. An executor's duties typically include securing the decedent's home, for example, by changing the locks; identifying and gathering all information relating to bank accounts, investment accounts, stocks, bonds and mutual funds; and arranging an appraisal of all real estate and tangible personal property. The executor also pays all of the decedent’s debts and final expenses, ensures that all income and estate tax returns are prepared and filed and taxes are paid, collects life insurance proceeds and retirement account assets, makes distributions of the estate to the beneficiaries or heirs and accounts for all actions. Michigan's Estates and Protected Individuals Code allows the personal representative to charge reasonable compensation for services performed when handling an estate. Unlike some other states, Michigan doesn't use a straight percentage basis for setting executor's fees. For example, under Florida law, reasonable compensation for an executor is 3 percent for the first $1 million of an estate's value, 2.5 percent from $1 million to $5 million, 2 percent from $5 mission to $10 million, and 1.5 percent for anything above $10 million. Without similar statutory guidelines to determine a reasonable executor's fee in Michigan, the court takes into account the complexity of the estate, the number of hours expended and the need for any probate litigation. If the personal representative does not wish to receive a fee, he can renounce the right to all or a part of the compensation by filing a written renunciation of fee with the court and serving it on all interested parties. Gillespie, Claire. "What Is a Reasonable Executor Fee in Michigan?" , https://legalbeagle.com/12034963-reasonable-executor-fee-michigan.html. 25 July 2018.